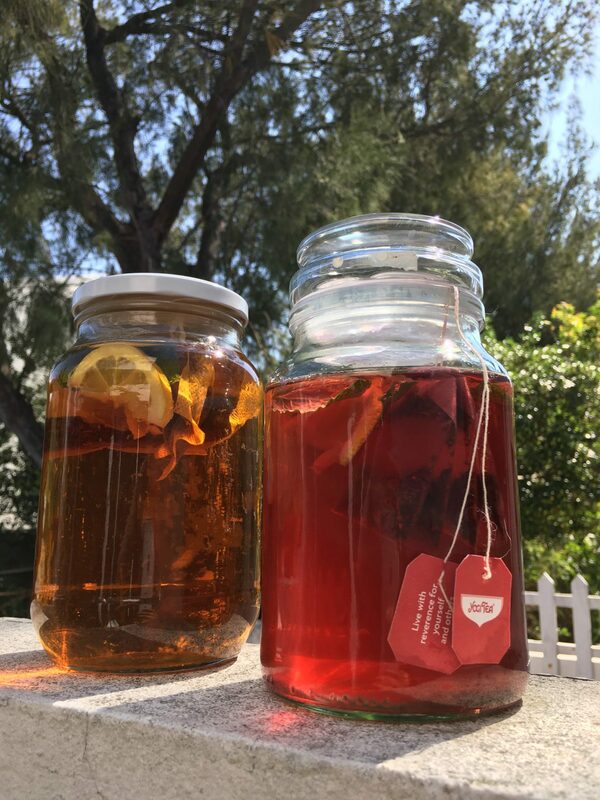 Making Sun Tea is fun and a beautiful routine to get into. If the sun is out. Grab a glass jar, pop in some tea bags, lemon and mint and leave the jar in the sun for about two hours. Serve warm or over ice. Delicious! Get yourself a glass jar. Wash it properly, so that no bacteria can form in the sun. Add water in the glass jar. Add your tea bags (depending on the size of the jar) - one tea bag for every 250ml about. Close the glass jar and let it sit in a sunny spot outside for about 2 hours. Serve and enjoy.